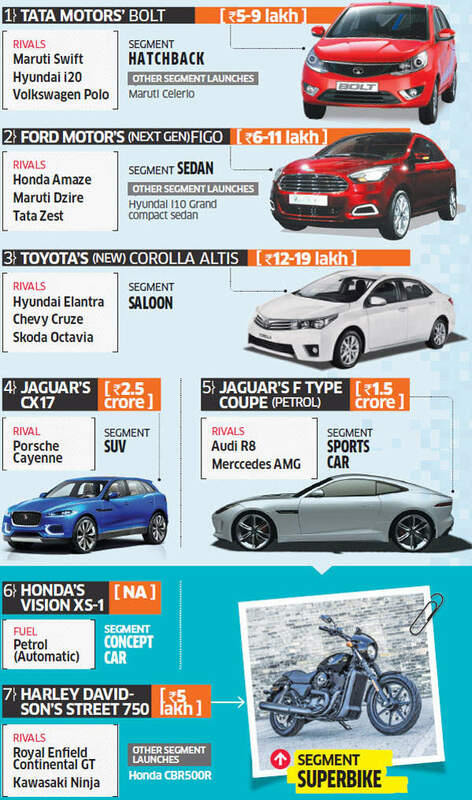 India's auto industry, facing its toughest time in a decade, seems to have decided to fight the continuing slowdown in the sector by stepping up the pace of new launches to retain buyer interest. Visitors to the 2014 Auto Expo beginning on Wednesday are set to witness a record 69 launches, up from the 46 in 2012. ET lists the ones that promise to be show stoppers . Apart from below displayed images of cars there would wide range of various facelift version offered by leading car manufacturers during the auto expo which will make this event a mind blowing event for visitors and set a new standards for coming auto expo shows in future.